Led by legendary quarterback Joe Montana, the 1981 San Francisco 49ers cruised through the regular season with a record of 13-3, tops in the NFC West. 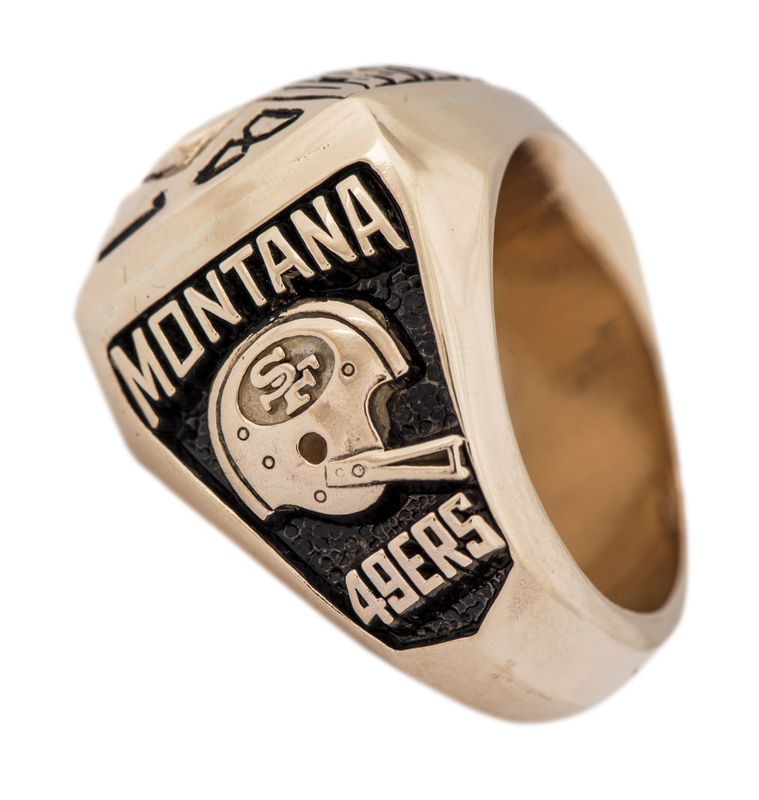 Montana threw for 3,565 yards, while his favorite target – Dwight Clark – had 85 receptions for 1,105 yards. 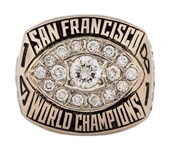 The 49ers had a memorable postseason run, which began with a 38-24 victory over the New York Giants in the Divisional Round. San Francisco then beat the Dallas Cowboys, 28-27, in the NFC Championship Game, thanks to “The Catch” by Clark. In another tight contest, the 49ers won the Super Bowl over the Cincinnati Bengals, 26-21. 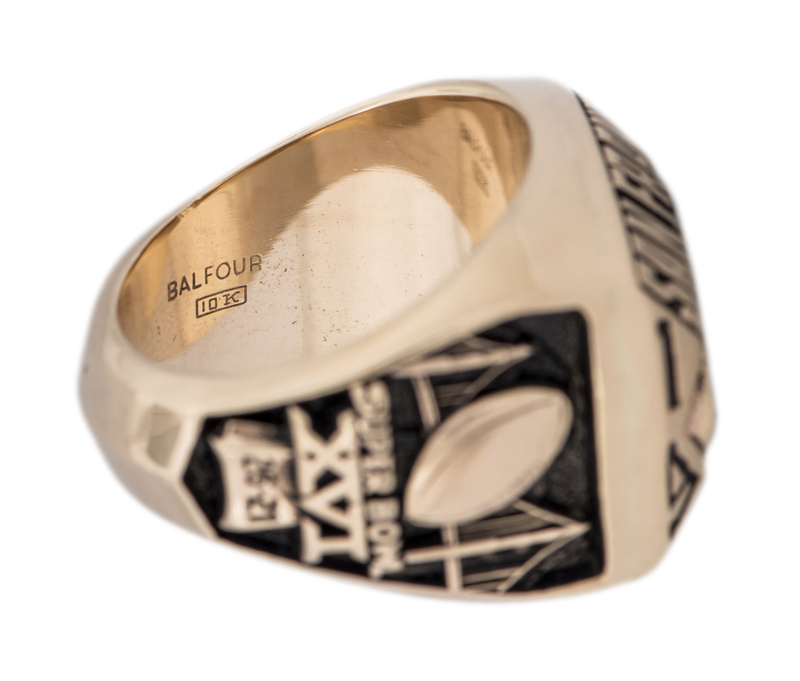 Presented here is a Balfour 10K gold 1981 San Francisco 49ers Super Bowl ring which was the actual design that was issued with the proper Balfour markings and was used in all of the players' rings. 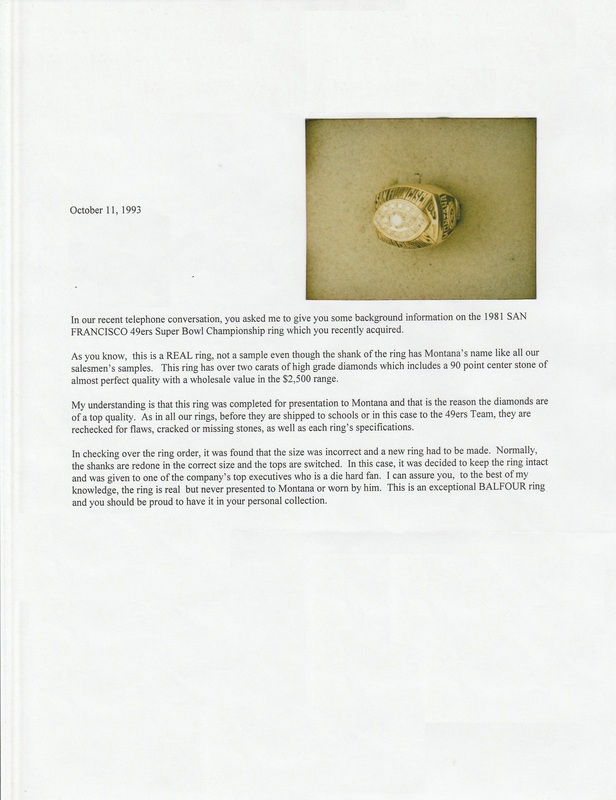 A larger round diamond (a near-perfect diamond that was factory set) - approximately 90 points - centers the face, with diamonds around that complete the shape of a football. There are approximately two carats total in diamonds. 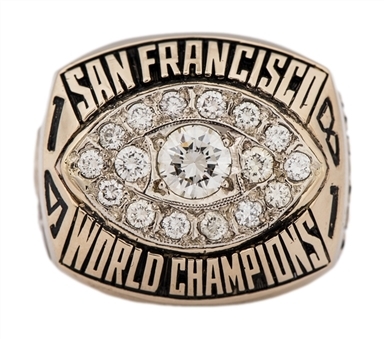 “SAN FRANCISCO 1981 WORLD CHAMPIONS” is shown in relief work. One shank features an image of the Lombardi Trophy, with the final score of the game, and “SUPER BOWL XVI”. A depiction of the Golden Gate Bridge is shown in the background. A 49ers helmet centers the opposite shank, with “MONTANA” at the top and “49ERS” at the bottom. 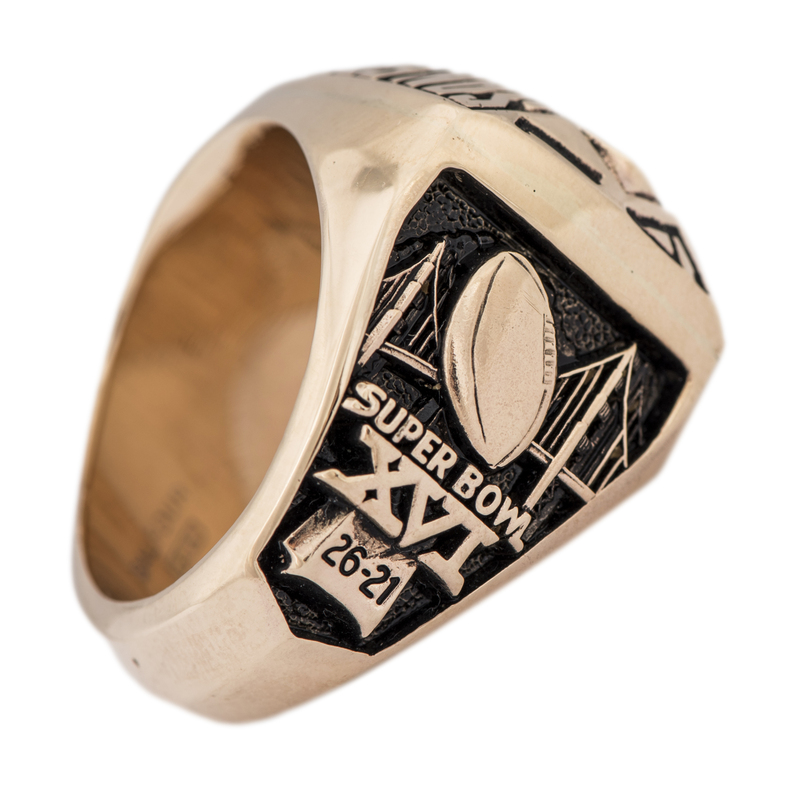 Please note that this ring was not the ring presented to Joe Montana. 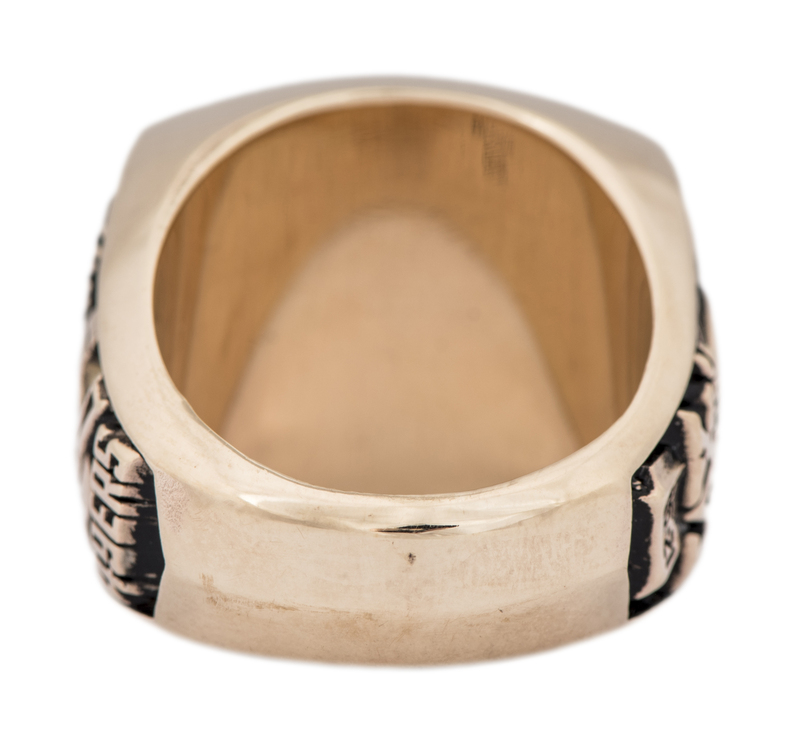 “BALFOUR 10K” is marked inside the band of this approximate size 10 ½ ring. 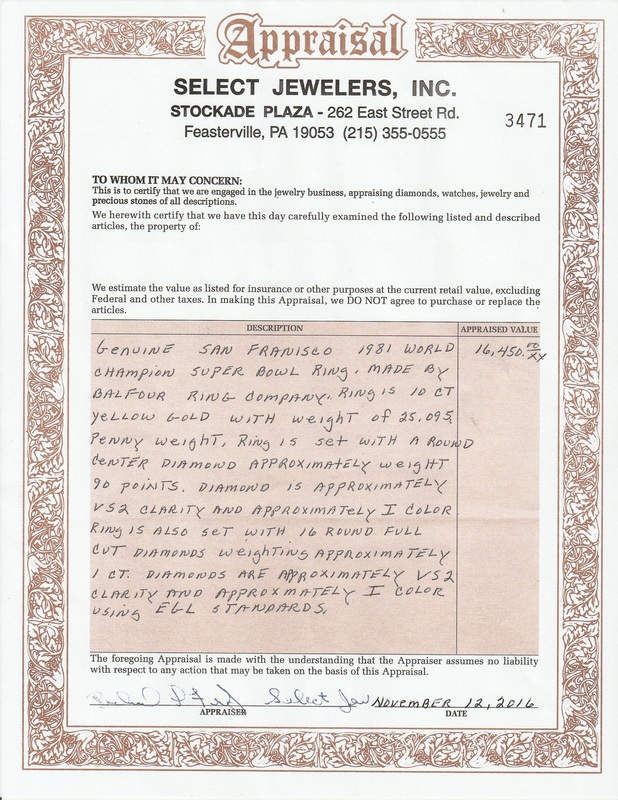 This item weighs approximately 39.0 grams and comes with a Balfour ring box, the owner's original purchase LOA and a jeweler's appraisal of the diamonds.